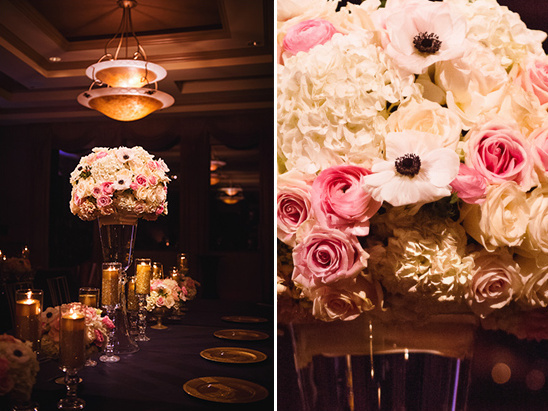 Traci and Case selected Las Vegas as their destination wedding, but did not want to have a, "typical," Vegas wedding. 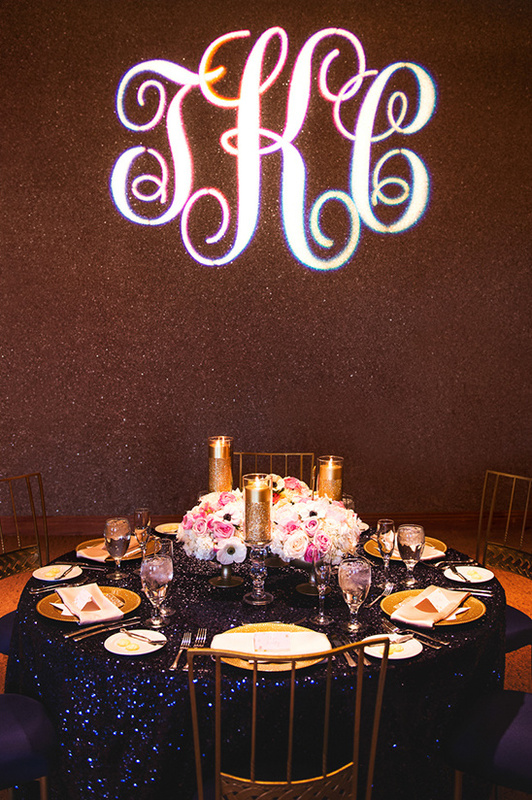 They were looking for a formal event, but sill had that Vegas sparkle. 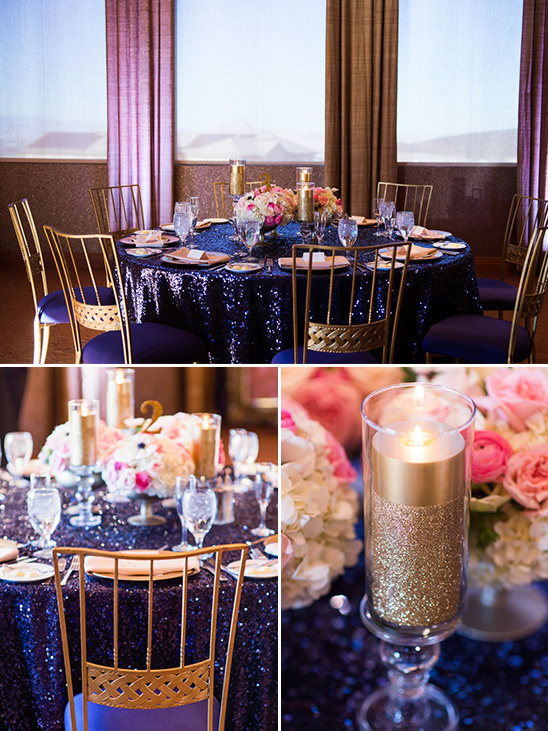 With that sin city glitz and glam, and combining their love for pink and adding in a bit of navy they had one terrific wedding palette. If you can't seem to get enough don't worry, there's plenty more to be seen in the entire gallery here. All captured by Chelsea Nicole Photography. BONUS!! 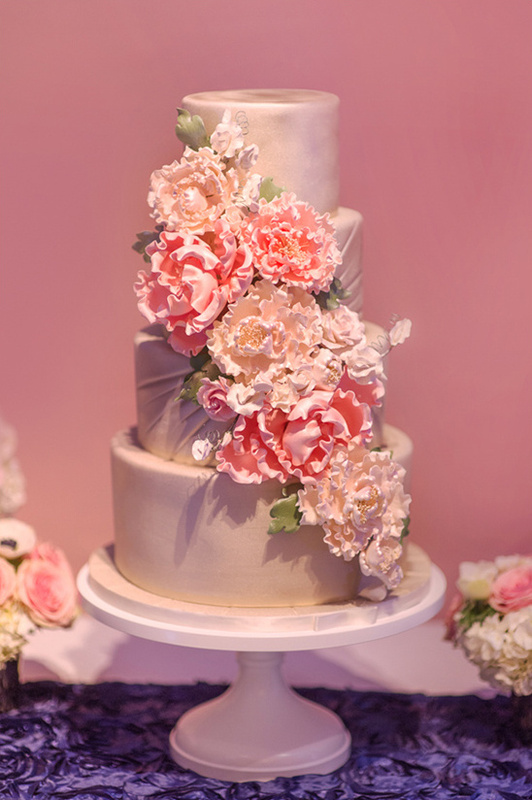 Read on to see how much this blue and pink Las Vegas wedding actually cost. Some special touches that made our wedding extra lovely and unique to who we are as a couple were that we wanted guests to feel welcome upon their arrival here in Las Vegas so we created a welcome bag for the hotel to deliver to guests' rooms. 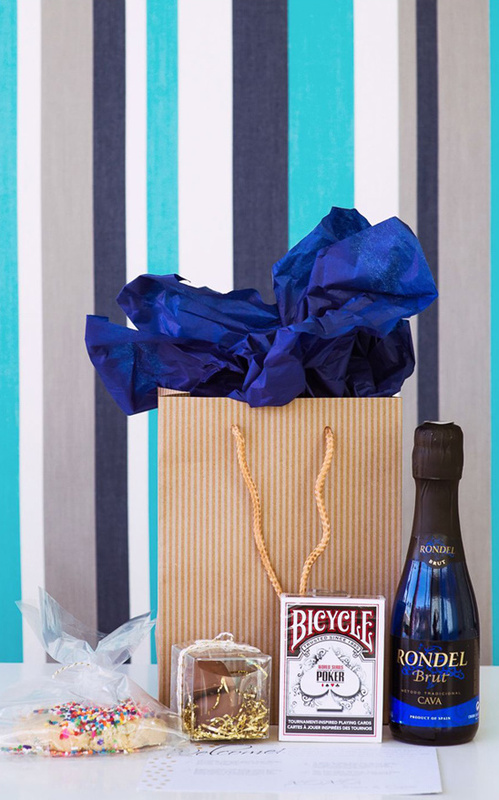 The welcome bags had a variety of our favorite things here in Las Vegas ranging from Retro Bakery sugar cookies, chocolate caramels from Peridot Sweets, a deck of cards from the World Series of Poker and a bottle of champagne. If there was one tip I could give other brides after going through the process of being a bride myself it would be to hire a wedding planner. It is tough to plan a wedding and work a full time job or be a full time student. There is a wedding planner out there that will work with your style, budget and let you be as involved as much or as little as you would like to be in the planning process. If you just need help with designing of the space, look for an event designer. 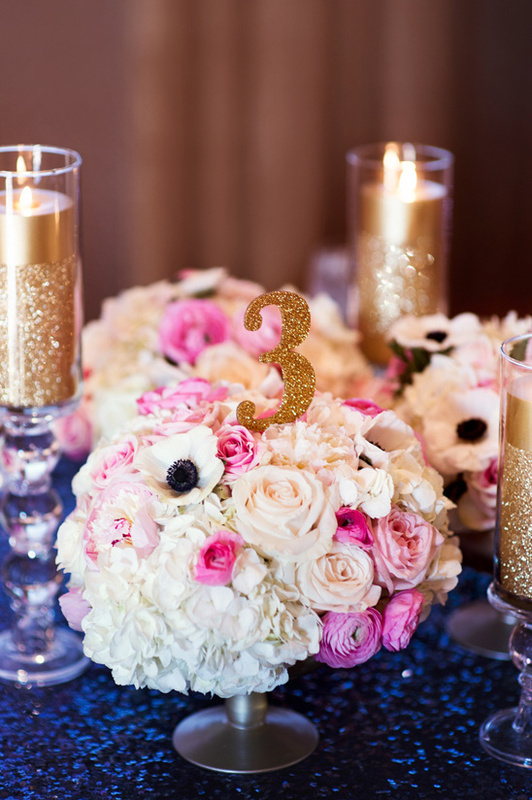 Hiring a wedding planner for at least the month of your wedding is so helpful. They confirm with all of your vendors and are there for you as your eyes and ears on the wedding day to make sure everything runs smoothly. You definitely want to be a guest on your wedding day and spend as much time with family and friends as they came to see you and celebrate with you. Overall, my wedding day was perfect. There were no major hiccups in the planning process. If I had to change anything, I would have gotten a better jump start on my invitations. I am quite the procrastinator, so when it came time to order invitations, I had to have everything custom, letterpressed… the whole deal. It took longer than expected to get the design perfected and the invitations printed. I mailed invitations over the holidays with one month until the wedding, and it took longer for guests to receive them. 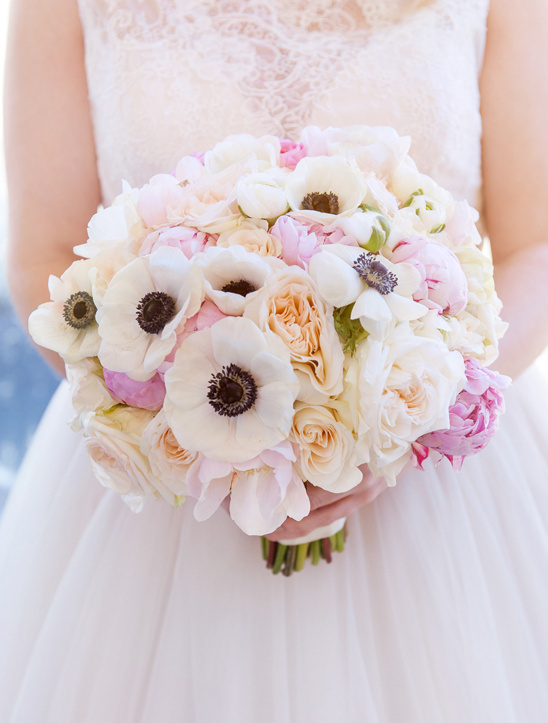 Words of advice to all brides: Don't procrastinate. 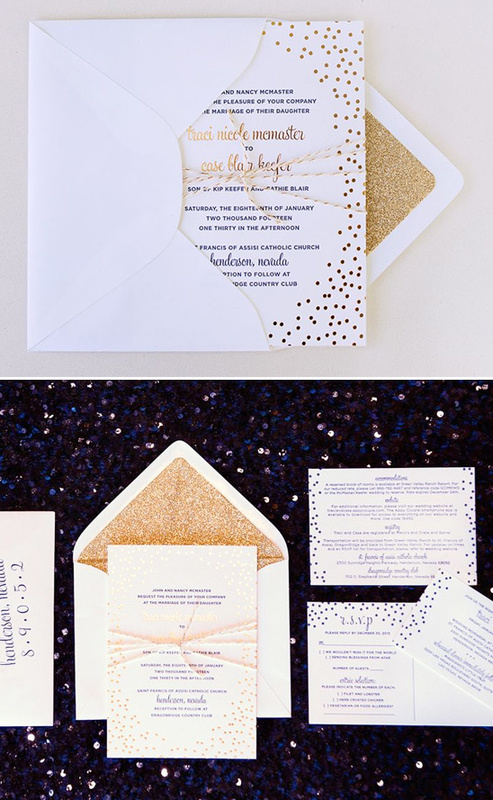 Mail invitations early (6-12 weeks before the wedding day is what I tell my clients). 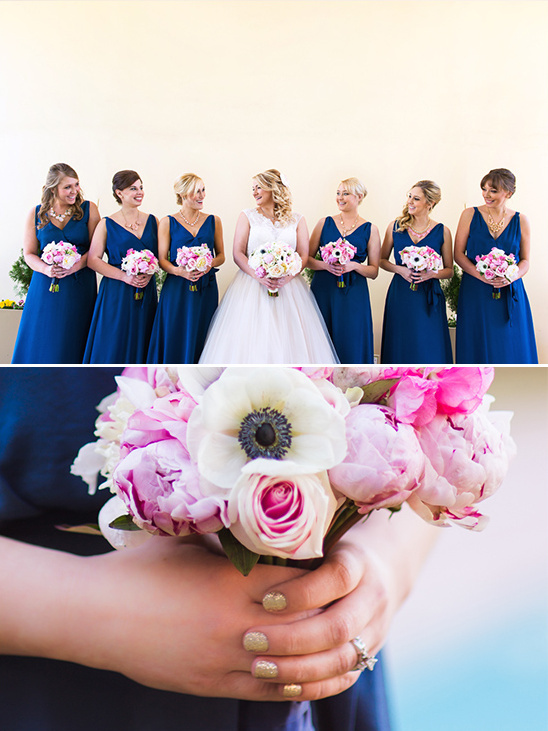 Read on to see how much this blue and pink Las Vegas wedding cost. Please note that costs change as the years go by, and prices are subject to change. This is just one couple’s breakdown to give you a rough estimate on how much a wedding like this may cost you. 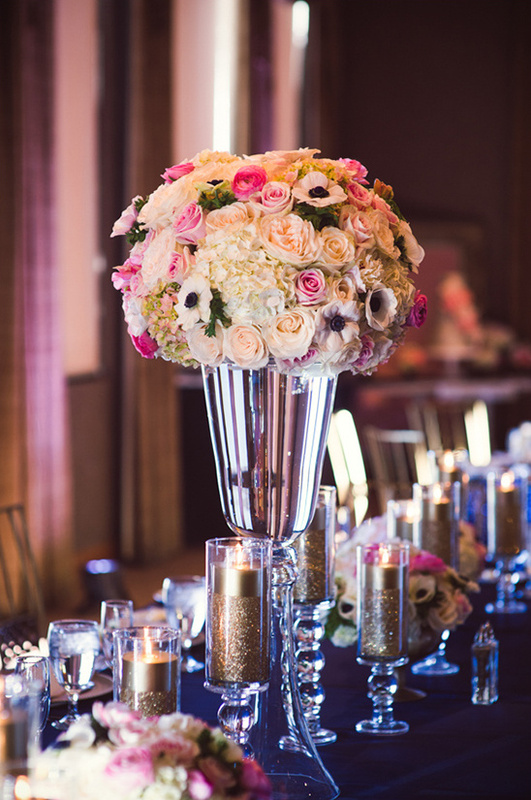 Wedding Planner (Event Design & Coordination): Free— perks of being a wedding planner.